Dr. Gregory H. Doerr, DC, CCSP is a graduate of the New York Chiropractic College. 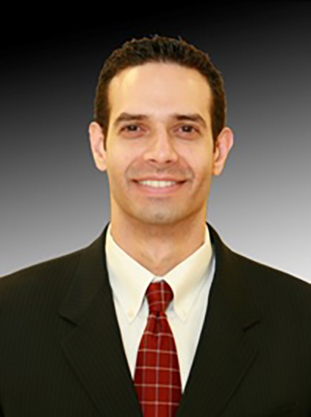 He is Clinical Director and Owner of Bergen Chiropractic and Sports Rehabilitation Center in Hackensack, New Jersey. He has established his successful office combining chiropractic, sports injuries, and rehabilitation and Physical Therapy. Dr. Doerr is certified in a number of taping techniques and with over 17 years of clinical taping experience is the developer of his own signature taping style a program entitled, Functional Taping for Muscular Skeletal Injuries. He has also completed a certification in Chiropractic Sports Medicine in 1998 (CCSP). Additionally, he lectures extensively on function soft tissue protocols and is the co-developer for FAKTR, Functional and Kinetic Treatment with Rehabilitation, Provocation and Motion. He also has been a contributor for The Council on Chiropractic and Extremity Procedures (CCEP). He has lectured at the US Olympic Training Center and internationally at the Central American Sports Medicine Congress on treatment and rehabilitation of the endurance athlete. Dr. Doerr has worked with athletes from the AVP Volleyball Tour in 2007, the Gold Cup in 2007, Central American Games in July of 2006, with Washington Redskins in March of 2004 and the University of Colorado in 2004. He currently is the chiropractor for two club soccer teams and a club volleyball team. Dr Doerr has a growing reputation with marathon runners treating athletes from running clubs in NJ and Manhattan.